With all the content out there on the web these days, it can be rather difficult keeping track of it all and even of you do manage to keep all your interests somewhat organized, there is always the question of how you go about sharing that information with others. Luckily, Taptu has come up with a solution that may appeal to you. Using your BlackBerry PlayBook and the recently released into App World Taptu app, you can not only keep track of the information that intereests you but share it as well to social networks such as Facebook, Twitter and LinkedIn. DJ Your News: Do you have 5 different sports streams you follow? Merge them all together to create you own Sports stream and color code it to your liking. And why not share your new stream with your friends? Discover Stories related to the one you are reading as well as Streams specific to the Topic/Genre the article you are reading about. 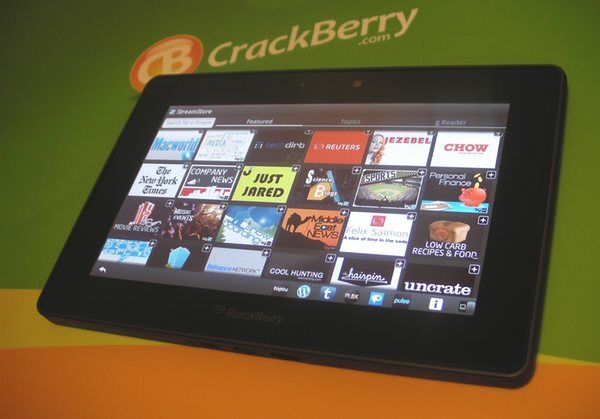 The Taptu app is available now in BlackBerry App World and is available for the BlackBerry PlayBook. If you're looking for a better way to control your news feeds and share your interests, give Taptu a go -- it might be the solution you are looking for.